Whether on long-haul flights, in Europe or in the Business Jet between Zurich and Newark – with SWISS Business you are banking on service at its best. Time to relax, time to work, time for gourmet moments and the good feeling that you will be fresh and alert for your next meeting. SWISS Business: an optimum combination of flexibility, efficiency and comfort. Enjoy an award-winning airline with award-winning flight attendants, SWISS is your competent and excellent partner around the globe. With SWISS Business, you are banking on clear added value as well as on style, SWISS made flair, elegance and unparalleled hospitality. For information regarding Business Class Lounge Access with Swiss Airlines please contact one of our Travel Specialists. 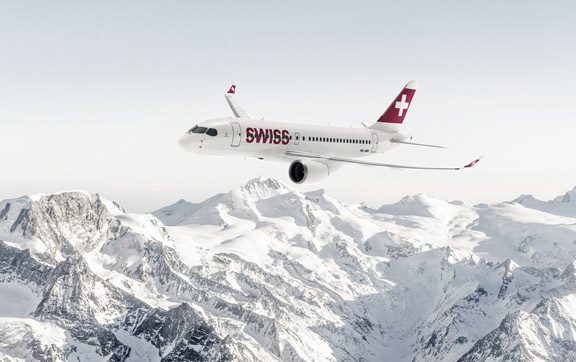 Swiss International Air Lines (SWISS) serves destinations in countries all over the world from its Zurich hub and the further Swiss international airports of Basel and Geneva with. Switzerland’s airline embodies typical Swiss values such as hospitality, quality in every detail and personal care: SWISS aims to make all its customers feel totally at home. Committed on various fronts to the careful and sustainable use of natural resources, and regards a responsible attitude to the environment as an integral part of its corporate culture. As part of the Lufthansa Group and a member of Star Alliance, SWISS remains true to its mission of providing quality air services that link Switzerland with Europe and the world.